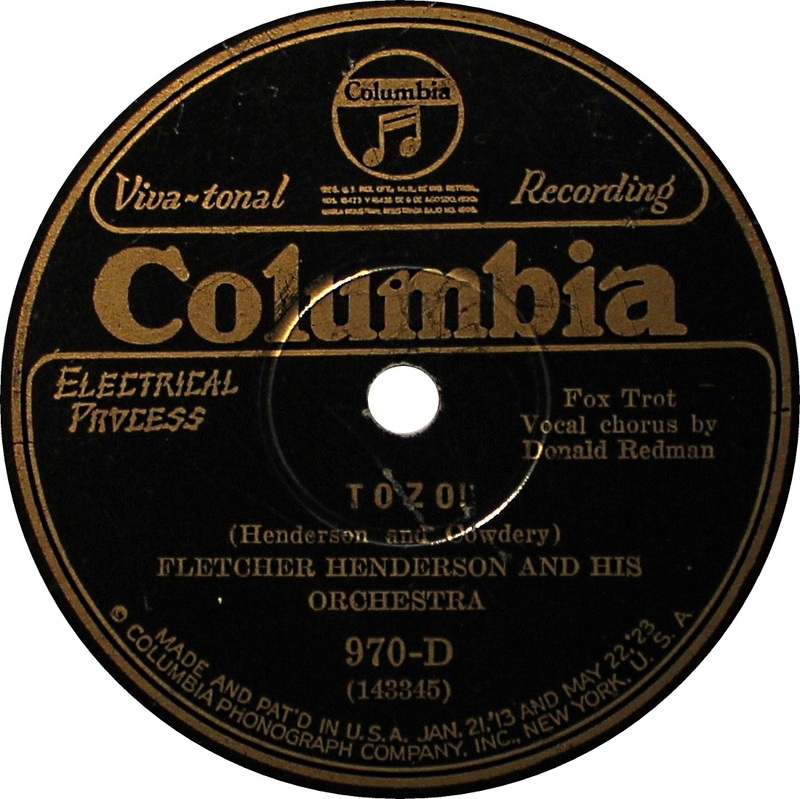 Recorded at Liederkranz Hall, New York on June 11, 1928. Tiny Parham p, dir / Roy Hobson c / Charles Lawson tb / Charles Johnson cl, as / Mike McKendrick bj / Quinn Wilson bb / Ernie Marrero d.
Recorded in Chicago on February 1, 1929. Recorded in New York late 1921. What this one lacks in fidelity, it makes up for in a wonderful remnant store sticker. 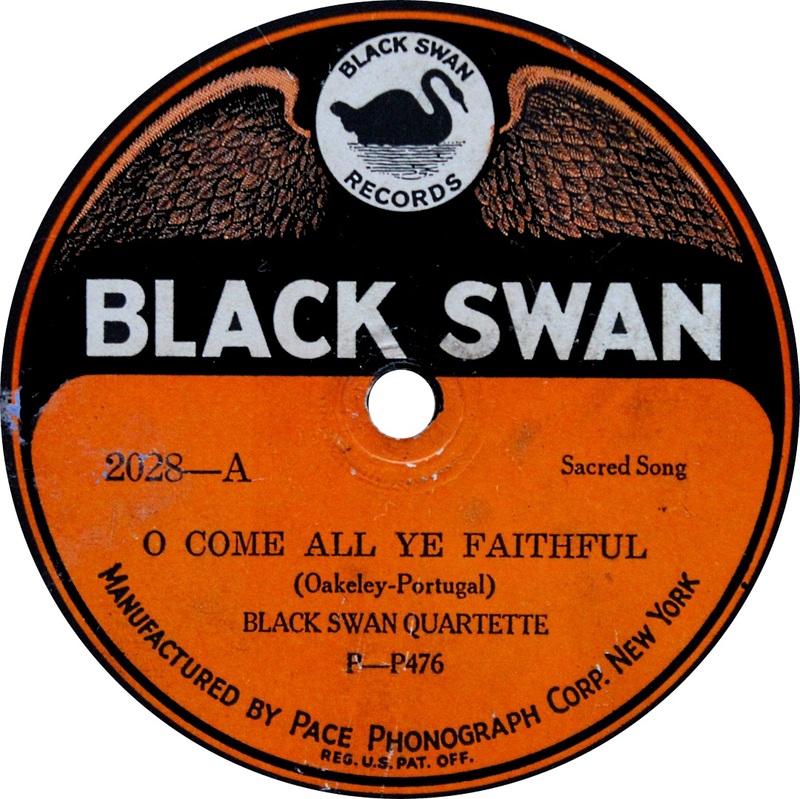 Recorded at Liederkranz Hall in New York October 20, 1927. Always nice to add a New Orleans recorded disc to the crate. Bill Padron, Red Bolman (Twister) c / Benjamin 'Benji" White cl, as, dir / Frank Netto tb / Irvine 'Pinky' Vidacovitch cl, as / Lester Smith ts / Sigfre Christiansen p / Rene Gelpi (Plenty), Hilton Napoleon 'Nappy' Lamare (Twister) bj, g / unknown mandolin / Dan Leblanc bb / Earl Crumb d, leader. Recorded in New Orleans on April 14 & October 26 (Twister), 1927. The earliest Ellington in my collection. Duke Ellington p, a, dir / Bubber Miley, Charlie Johnson t / Joe Nanton or Charlie Irvis tb / Otto Hardwick as, bar / Prince Robinson cl, ts / Fred Guy bj / Henry Edwards bb / Sonny Greer d.
Recorded in New York on June 21, 1926. Bennie Moten p, dir/ Lammar Wright, Harry Cooper c / Thamon Hayes tb / Harlan Leonard cl, as / Woody Walder cl, ts / LaForest Dent bj / Vernon Page bb / Willie Hall d.
Recorded in Kansas City on May 14, 1925. Wonder why this was issued on Paramount's 20000 pop series instead of the 12000. Jimmie O'Bryant cl / Bob Shoffner c / Jimmy Blythe / p / Jasper Taylor wb. Been after this one for years after finding one of his Edisons in a Wisconsin garage. Hense Grundy tb / George Allen, Lockwood Lewis as, ss / Clifford Hayes vn, v / Cal Smith bj, g / Earl McDonald jug / Prince LaVaughn v.
Recorded in Chicago on June 6, 1927.
? Freddie Jenkins, ? Robert Cheek t / tb / Wilton Crawley cl / Charlie Holmes as / Jelly Roll Morton, Luis Russell p / bj, g / Pops Foster sb / Paul Barbarin d.
Recorded in New York on December 2, 1929. The first blues record I ever found was the most beat up worn out record I had ever seen...can hardly make out any music at all and every time I get a new stylus, cartridge, turntable, it's the first record I play just to see if I can squeeze a bit more out of it. Now, just this week, I ran across this record and it looks like it just slid out of the sleeve for the very first time. Feast or famine...no in between. Robert Hicks, better known as Barbecue Bob (September 11, 1902 – October 21, 1931) was an early American Piedmont blues musician. His nickname came from the fact that he was a cook in a barbecue restaurant. One of the two extant photographs of Bob show him playing his guitar while wearing a full length white apron and cook's hat. He was born in Walnut Grove, Georgia. He and his brother, Charlie Hicks, together with Curley Weaver, were taught how to play the guitar by Curley's mother, Savannah "Dip" Weaver. 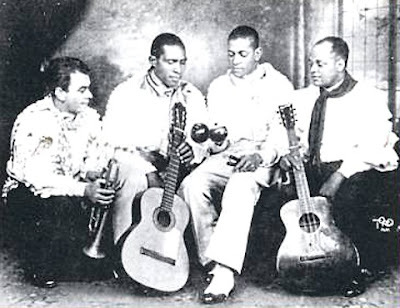 Bob began playing the 6-string guitar but picked up the 12-string guitar after moving to Atlanta, Georgia in 1923-1924. He became one of the prominent performers of the newly developing early Atlanta blues style. In Atlanta, Hicks worked a variety of jobs, playing music on the side. While working at Tidwells' Barbecue in a north Atlanta suburb, Hicks came to the attention of Columbia Records talent scout Dan Hornsby. Hornsby recorded him and decided to use Hicks's job as a gimmick, having him pose in chef's whites and hat for publicity photos and dubbing him "Barbecue Bob." 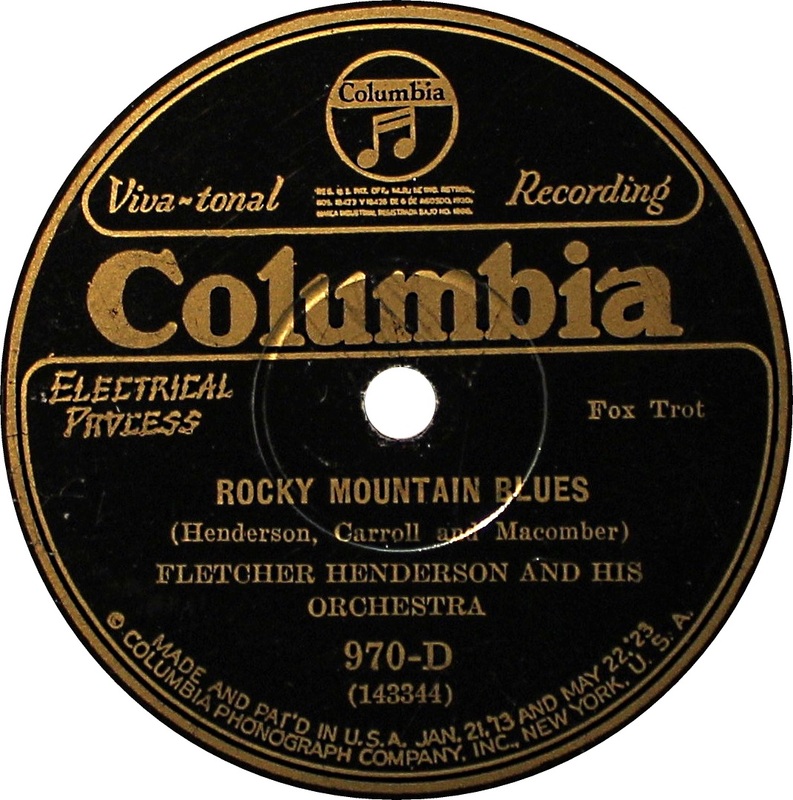 During his short career he recorded 68 78-rpm sides. 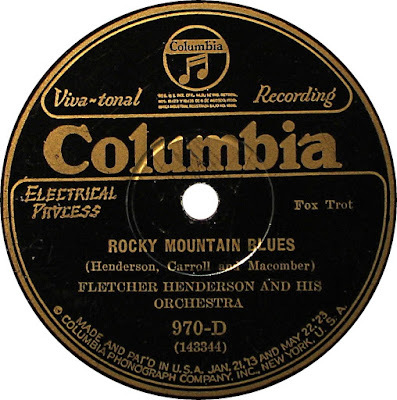 He recorded his first side, Barbecue Blues in March 1927. The record quickly sold 15,000 copies and made him a best selling artist for Columbia's race series. Despite this initial success, it was not until his second recording session, in New York during June 1927, that he firmly established himself on the race market. At this session he recorded Mississippi Heavy Water Blues, a song inspired by the major floods taking place in Mississippi at that time. This song, as well as his other blues releases, gained considerable popularity, and his records sold much better than those of other local blues musicians. Recorded in Atlanta on June 15, 1927.